Forte Village Resort, a large tourist complex located in Pula near Cagliari (Sardinia), includes a wide range of facilities related to sport and beach, with a number of bars, restaurants and entertainment spaces spread through the whole area. 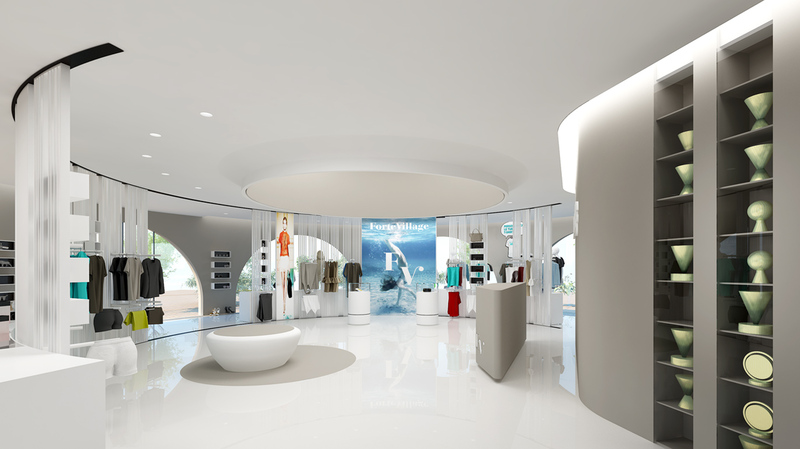 A small round building was assigned time ago to host the Forte Village Shop, a retail that promotes the merchandising related to the resort, and sell a selection of goods about fashion, sportswear & beachwear, foods and lifestyle. 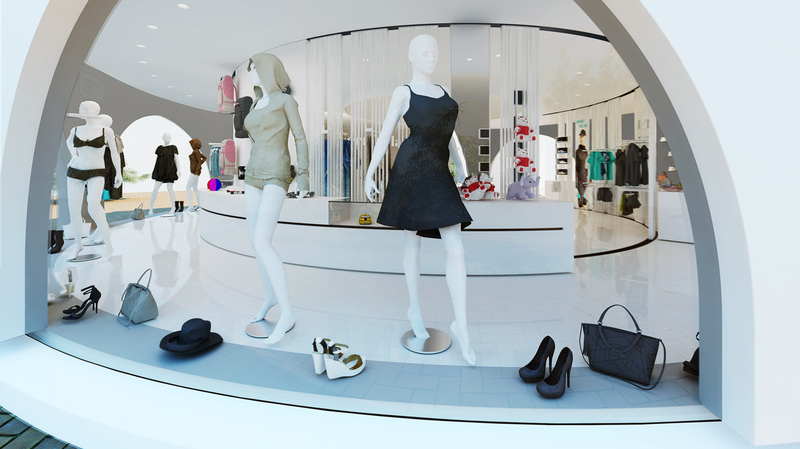 The renovation program tried to match the wishes of owners and shopkeepers in order to arrange a space that is more than a shop; it is designed to play an emergent role in the leisure context. 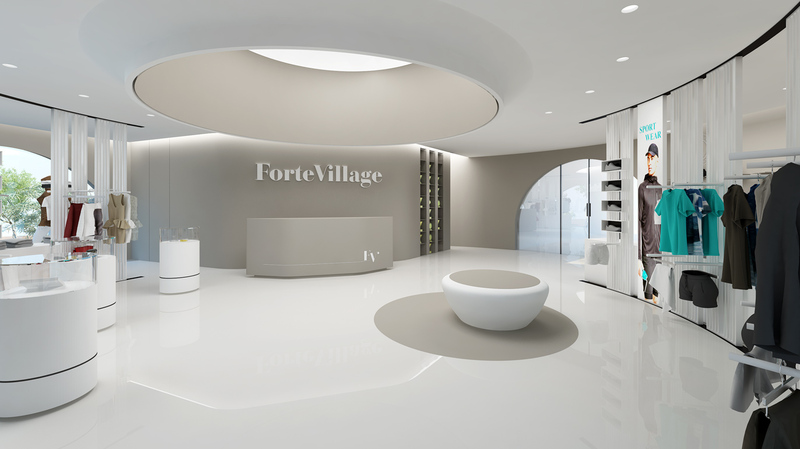 Beside the commercial purpose, the shop will host the Wall of Fame, a permanent installation with the all the trophies and prizes that have rewarded Forte Village in international competitions and other historical witnesses from the Forte Village origins. 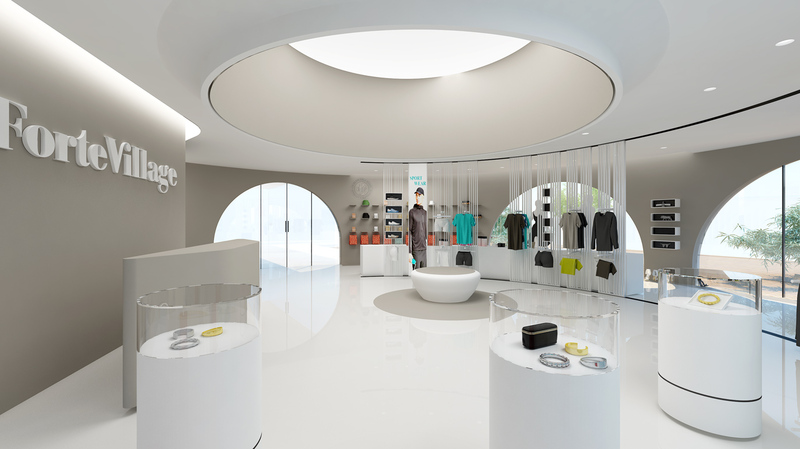 The unitary aspect of the central space is maintained and enhanced by the project, where the separating panels are light frames that allow to see through and perceive the whole space in a 360° view; the aim is to create in a single location the recreational and emotional experience suggested by the resort’s environment.